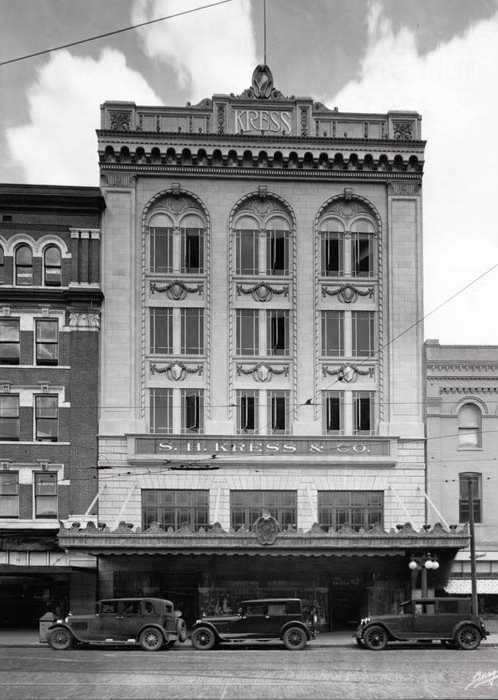 In this historic photograph, outside of the busy Kress building, there are cars, but no foliage to shade people from the Florida sun. 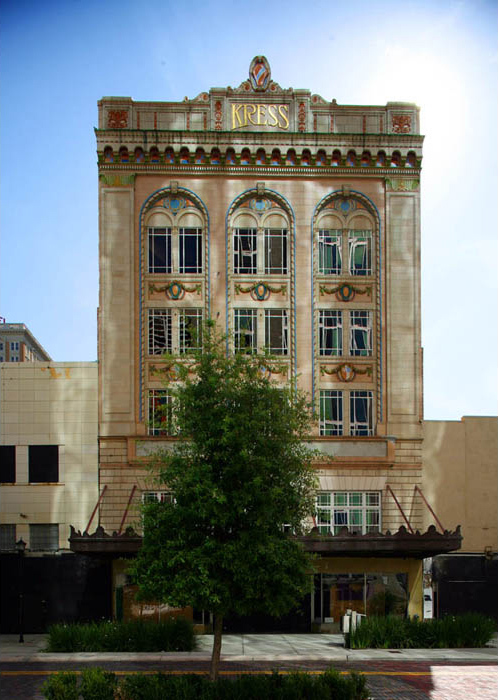 In the modern photograph, there are no cars or people, outside the abandoned Kress building, but there is a tree in case anyone happens to be walking by. Such a beautiful building, so sad its abandoned.Just look at the beautiful lines it was built with,makes the building really stand out. I live a block away from this amazing building and look forward to eventually someone restoring her to her original beauty.